Basic customs duties have been raised on 19 products that accounted for an import bill of approximately Rs 86,000 crore in FY18 by 2.5-10% points. 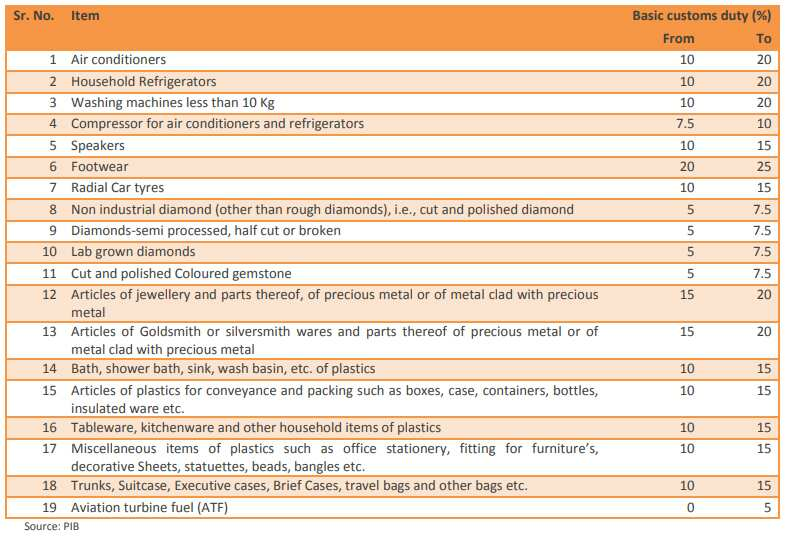 Modi govt's import duty hike on 19 items has no bite? Apple hikes prices of iPhones post-Budget FY19; will others follow the suit? In order to control widening CAD and depreciating rupee, the government has hiked import duty on some 19 items. Now this hike in import duty will impact you, especially when it comes to your festival season shopping. Yes, Indians prefer to make big purchases, cars to houses, during this auspicious period. We are just a few weeks away from back-to-back celebrations like Dhan Teras, Navratri and Diwali. Not only this, even from November, the wedding season begins. During these occasions, there is heavy buying of jewelry, home appliances, furniture, decoration item, washing machines and many more products. Some even plan to take their family and friends for a vacation outside the state or even abroad. Guess what! Now your festive season is going to be very expensive and government is to be blamed. According to Stewart Mackertich, in AC category companies like Voltas and Havells India will be impacted. While in radical car tyres, companies like CEAT, JK Tyre and Apollo Tyre will see negative pressure. As for ATF, all aviation stocks will face heat of this import duty hike. As for you, the customer, your buying on the above mentioned products will become expensive as companies will pass the burden on end user to recover losses arising from import duty. The agency further explained, also, the companies may not be able to pass on the price rise on account of muted demand in the domestic market post the price drop on washing machines and refrigerators during Jun-Aug 2018 due to GST led rate corrections. The final impact in terms of physical import of these goods as well as impact on price inflation is fuzzy. As for household refrigerators, the single door manufactured in India and double door which are partially imported ‐ will get impacted. In case of washing Machine less than 10kg, Washing Machine less than 10kg - semi Automatic manufactured in India and fully automatic which is mainly imported ‐will get impacted.